Rainier junior Cathy Ly has a social media success: her faux eyelash business. She recalls making the Instagram account during a moment of bravery, completely oblivious to the product it would become. Every day she receives messages from students of all grades at Summit Rainier who are eager to purchase a pair of faux eyelashes, and every week she is chasing a new person down who wants to buy a pair. As of November 2018, the Instagram page had a total of 310 followers and had sold over 100 pairs of faux eyelashes. The global increase in social media usage has been immense, and experts say there is no chance of it slowing down anytime soon. Social media is responsible for a huge chunk of people’s careers, friendships and political knowledge. We created and sent out a survey to the whole school containing 13 questions that let students give their opinions on Summit Rainier and it’s community. One-fourth of the student body responded and gave their thoughts. The community at Rainier, according to student survey responses, is diverse, friendly and open-minded. Students believe social media contributes to the strong community. Social media allows a sense of self-expression, a version in which the person behind the screen is more brave. These survey results show how many students believe social media gives them a better understanding of the community. 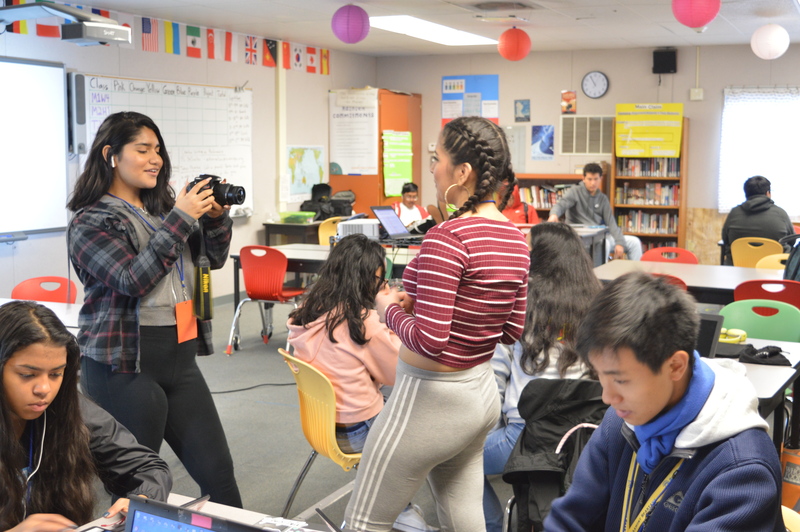 Students at Rainier pay homage to social media for guiding them through the journey of finding friends and for allowing them to keep up with current events. 45 percent of respondents claim they look at social media 10 or more times a day, which contributes heavily to how the community here operates and grows. 80 percent of all mentor group classes here at Rainier have a social media account in which they share photos of their mentor outings and funny pictures and videos of students. The student council also has an Instagram account in which it shares the details of upcoming events, spirit weeks and fundraisers. These survey results show how many times students look at their social media platforms each day. With success comes failure, and Rainier exemplifies that statement. A lot of upperclassmen at Summit Rainier don’t think the community at Rainier is 100 percent what everyone says. Summit students and teachers tend to speak out about politics, which eventually led people to have mixed emotions about a lot of the things students speak about. One student described the community as “close-minded and biased” and another student claimed that the community can be “chill, but can turn ugly if you don’t share the same views as everyone,” and it seemed like there were other students who agreed. Social media has a different effect on everyone, because of the amount of people on different social media platforms. Social media can also result in cyberbullying. 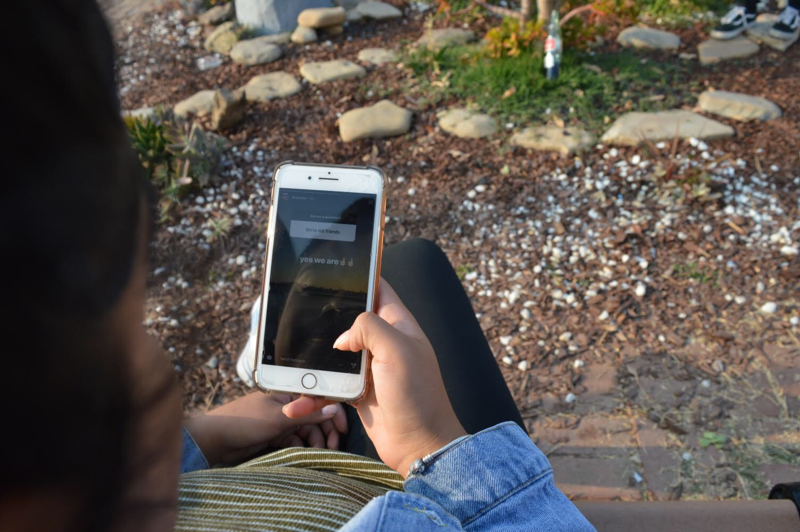 Rainier junior Amanda Flores recalled a time in which she experienced a level of cyberbullying that impacted her so much she quit social media for a week. These social media results show how many students believe social media influences them as a person. She claims a boy was treating her best friend horribly by posting pictures of her, saying hateful things and falsely portraying her to be someone she isn’t. She tried to defend her honor, but things only backfired. Flores has recovered from that situation, and she continues to use social media to connect with friends, stay politically aware and make new friends. Social media presence is continuously developing as future generations grow older, which can be interpreted as both positive and negative. But people can’t deny how responsible it is for people’s friendships and success.